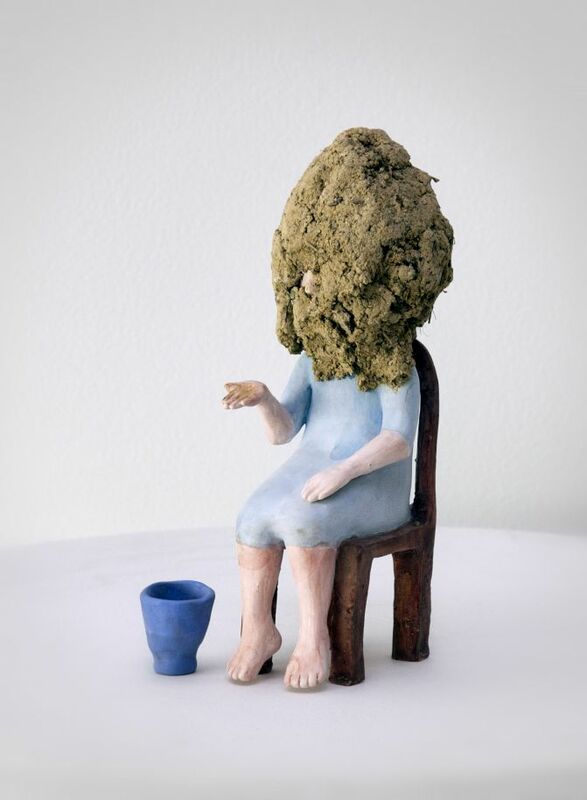 Ceramic artist Kate Fitzharris isn’t just interested in people thinking about her work - she wants them to feel it as well, and aims to stir up potent emotions such as nostalgia and empathy. Fitzharris’s life-like ceramic dolls manage to capture the unsettling space between childhood whimsy and adult uncertainty. The work’s daintiness and pastel colour palette is reminiscent of a child’s antique toy, but the dolls faces are nuanced and adult. Their expressions - thoughtful, reflective, often sad - hint at characters struggling to make sense of an increasingly complex world, and laden with responsibility and challenges. Constructed from cool, practical materials, these are not dolls to cuddle and comfort, but artistic creations to be admired, experienced and felt. “I love how clay can dress itself up as almost anything whilst also carrying its history of giant mountains worn down to the tiniest pieces, soft and malleable. I am interested in the relationships we have with these natural processes, and the way we connect with the world around us,” says Fitzharris. Having exhibited her work around New Zealand for over a decade, and holding a Bachelor of Fine Arts degree from the Dunedin School of Art, Fitzharris also works with found materials such as vintage fabrics, and credits her career choice to the vivid imagination she had as a child. “I remember seeing faces in flowery curtains from a young age” says Fitzharris. Now a mother of two who works part-time at the Port Chalmers Public Library, Fitzharris says the varied facets of her life feed into her creative work, as does her drawing, reading and the domestic routines of family life.